UltraViewer is an ideal software if you need a remote control for one or more computers. 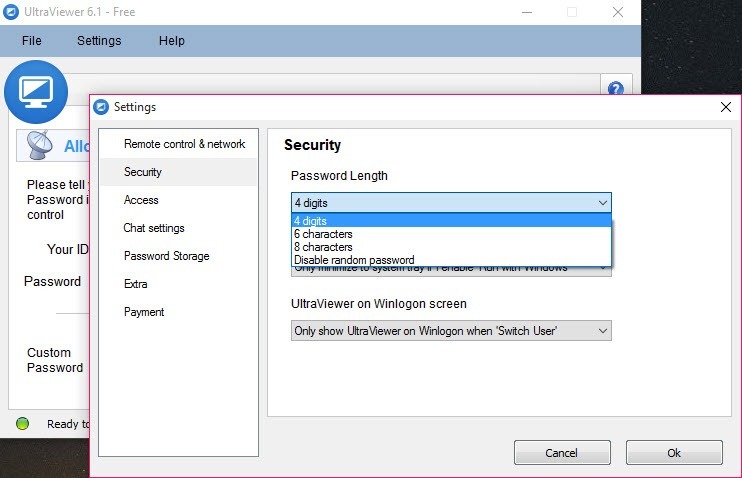 You can connect with a unique ID and password to provide support or to control your devices. An excellent alternative for TeamViewer, UltraViewer is a software which works so fast, and it’s easy to use and user-friendly interface without a lot of options or hidden buttons. Let’s think you are working as a programmer or technician for a company. 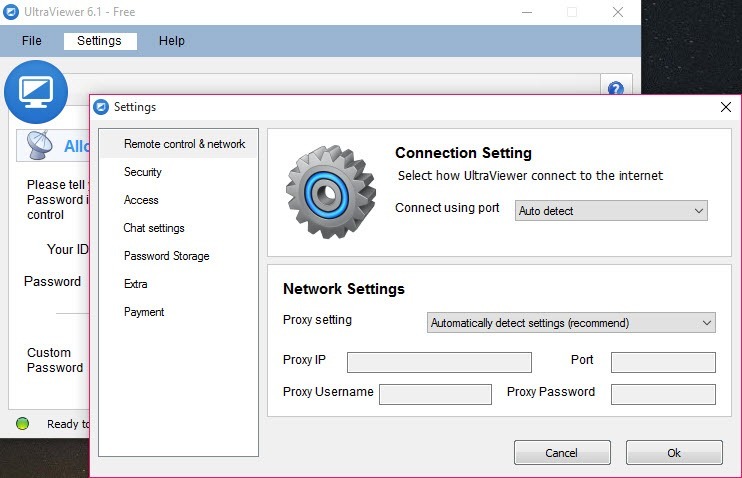 To install this software isn’t a complicated task, the installation process is done in few seconds, and after that, you can immediately connect to a remote computer because you don’t have to do extra configurations. 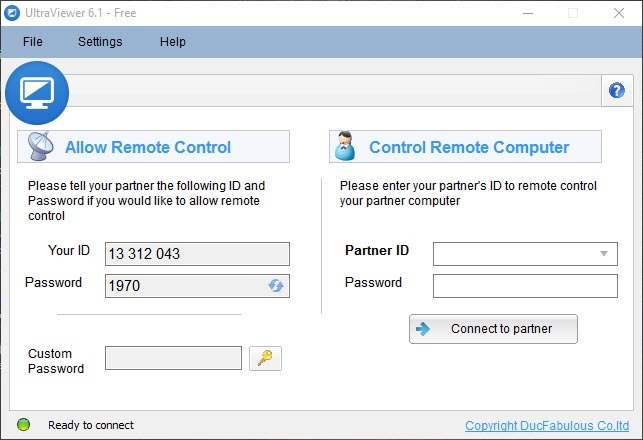 When you opened the program, you will have a simple and very friendly interface where you will find to panels with your ID and password and of course a section where you have to put the partner id and password for establishing the new connection. Also, we have to talk about instant chat window where you can communicate easily with your partner, without being necessary to make a phone call. UltraViewer can be utilized by everyone, for personal use and of course for business use. If we are talking about business use, you have to know that servers will be very secure and none will not intercept your information. 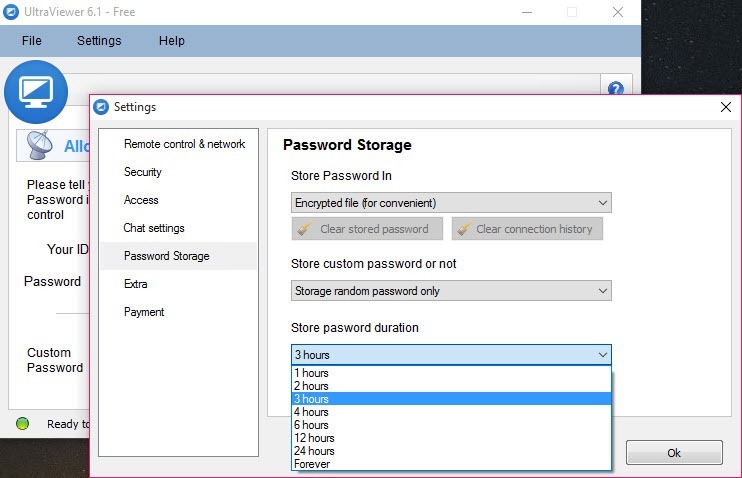 It’s an essential advantage of this software, sensitive data stored on the computer are secured. This tool is pretty easy to install and for use, you don’t need advanced computer skills to work with it, ask for ID and password and create a secured connection.